A 23 year old male is in custody following a high speed chase beginning in Aitkin County and concluding in Benton County. The Minnesota State Patrol says, that after an incident in Aitkin County involving a stolen vehicle and damage to a State Patrol vehicle, the pursuit began about 9:15am on Saturday, leading officers through portions of Aitkin, Crow Wing, Mille Lacs, Morrison and Benton Counties, where the vehicle was stopped by a state trooper in Benton County. Charges are pending and no further information is being released at this time. Donkey basketball comes the Pine River-Backus gym Saturday night. Rae Borst tells KLKS News, it is a fund raiser for the corn fest, and it is a lot of fun to watch. The donkeys don't always want to move when they are supposed to. The donkeys are outfitted in rubber boots so they don't harm the gym floor. The tip-off, or whatever you call it, is at 7 p.m.
Tickets are available at the Pine River Chamber office, or at the door, if still available. Minnesota's population of wolves will transition from federal protection to state management by the Minnesota Department of Natural Resources on Jan. 27, bringing with that transition a number of law changes. Minnesota's Wolf Management Plan will protect wolves and monitor their population, but also give owners of livestock and domestic pets more protection from wolf depredation. The plans splits the state into two management zones, with more protective regulations in the northern third, considered the wolf's core range. The Wolf Management Plan has provisions for taking wolves that are posing risks to livestock and domestic pets. Owners of livestock, guard animal or domestic animals may shoot or destroy wolves that pose an immediate threat to their animals on property they own or lease, in accordance with local statutes. 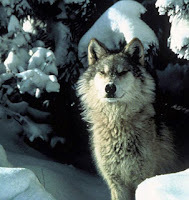 "Immediate threat" means observing a gray wolf in the act of stalking, attacking or killing livestock, a guard animal or a domestic pet under the supervision of the owner. In the southern two-thirds of Minnesota (Zone B), a person may shoot a gray wolf at any time to protect livestock, domestic animals or pets on land they own, lease or manage. Lower deer populations and a windy first weekend of the firearms season resulted in Minnesota's deer harvest dropping 7 percent in 2011, according to the Minnesota Department of Natural Resources. Minnesota hunters harvested 192,300 deer during the 2011 season, a drop of 15,000 from the 207,000 deer harvested in 2010. "Upwards of 50 percent of the annual deer harvest occurs during opening weekend," said Lou Cornicelli, DNR wildlife research manager. "The high winds hunters experienced opening weekend hindered deer activity and the associated harvest." Deer densities were lower in many areas because of hunting regulations designed to bring populations to goal levels, and because of a harsh winter in 2010. Now that many areas are at the established goal levels, there is a general dissatisfaction among hunters with the current deer population. As a result, the DNR will develop a process in the near future to reassess deer population goals. Although that process may not be complete for several months, DNR staff will examine population densities and trends in all permit areas and begin making adjustments in time for the 2012 season. Area high school juniors and seniors are getting an up-close lesson on government from the local level up to the state. The Youth in Government Civics Project exposes the young minds to how government works. Project Manager Kris Hasskamp tells KLKS News, if young people get excited about how government works, then maybe they will become future leaders. The Youth in Government and Civics Project is a non-partisan effort represented by those on all sides of the aisle. The growing wild turkey population in the Brainerd Lakes area has no problem with the recent cold. DNR Youth Mentoring Coordinator Mike Kurre says this kind of weather is almost like heaven for them. He says they need to scratch the forest floor for food. Heavy snow cover makes that difficult. The opposite is true for grouse. Kurre says wild turkeys have established well in the Nisswa and Mille Lacs area. The hunting season begins the middle of April and continues through the end of May. Kurre tells KLKS News, there are special opportunities for those under 18. A fire destroyed a house in Long Prairie Tuesday afternoon. The Long Prairie Volunteer Fire department got the call just before 3 p.m. By the time they got to the house at 22697 Gate Way Drive, it was fully engulfed. The Salvation Army of the Brainerd Lakes Area is offering thanks to its supporters. During the Christmas season, the charitable organization served 696 households, 2088 individuals and 916 children with food cards and gifts. Special thanks goes out to area churches, schools, business, media and individuals for their contribution to the effort. A weekend accident on Wise Road north of Brainerd over the weekend has critically injured two young people. A head-on collision just after 8 p.m. Saturday injured four people. When police arrived on the scene, 23-year-old Justin Don Dechon of Litchfield, and his passenger, 23-year-old Jacob Steven Steininger of Brainerd, were unresponsive. They were taken to Essentia in Brainerd before being airlifted to North Memorial in the the Twin Cities. The driver of the SUV, 61-year-old Mary Kaye Scott of rural Brainerd, and her passenger, 5 year-old Aliyah Rae Scott taken to Essentia in Brainerd for treatment of their injuries.The cause of the crash remains under investigation.